In a pan, add 2 tsp of oil. Add onion, green chilies, ginger-garlic paste and sauté well. Sprinkle required amount of water and cook for 5 minutes along with salt, cooked keema/cooked fish/ cooked vegetables and dry curry powders (chili, turmeric, garam masala). Masala should be cooked well. When the water boils in the puttu pot, fill the pipe with the masala coated meat/vegetables and puttu flour. 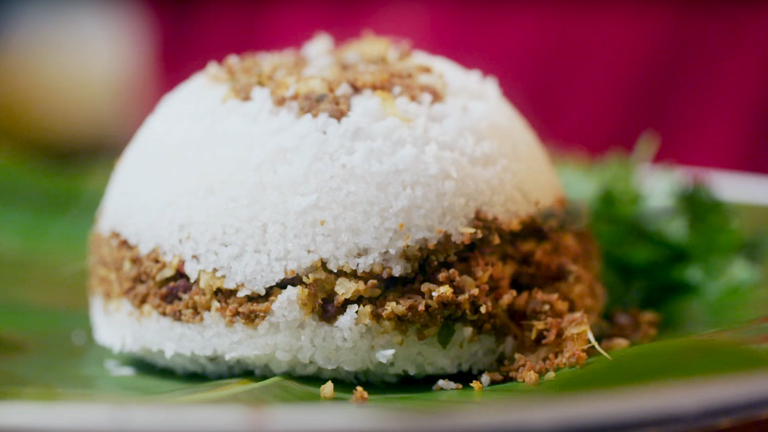 Layer it just like the normal puttu and steam cook it.